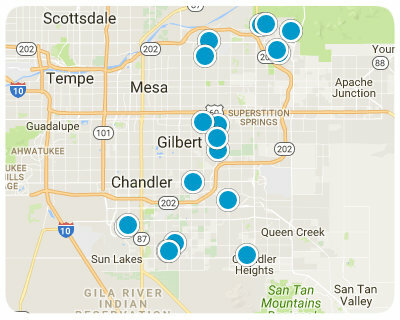 Below are ALL of the Homes for Sale near Gilbert High School in Gilbert Arizona from our Realtor MLS UPDATED EVERY 5 Minutes! That means EVERY home from EVERY Real Estate Company that is currently for Sale. Western skies golf course lot. 3 bedroom/2 bath. All bedrooms and full bathrooms are upstairs. 4th T-box.